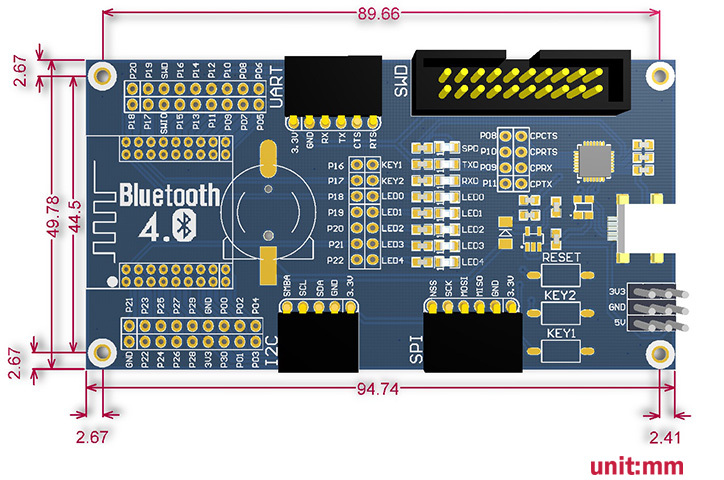 BLE400 is a motherboard designed for BLE Bluetooth 2.4G Wireless Module. Used together with Core board. 2015.06, Core51822 upgrades the onboard chip to Rev3, features 32kB RAM, supports higher version SDK, and all the demo codes are still compatible with the Rev2 ones. Follow the instructions in the Nordic nRF5x Segger J-Link page to install and configure all the necessary software. Further information can be found in Flashing. Then build and flash applications as usual (see Build an Application and Run an Application for more details). First, run your favorite terminal program to listen for output. 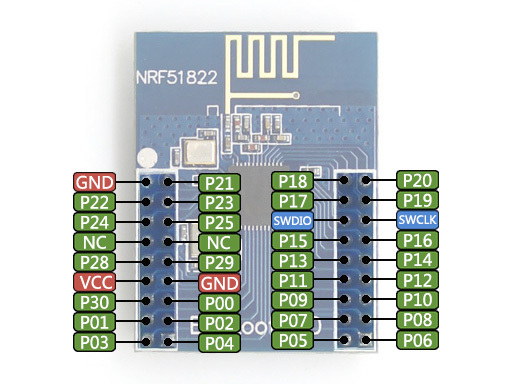 Replace <tty_device> with the port where the board nRF51 DK can be found. For example, under Linux, /dev/ttyACM0. Then build and flash the application in the usual way. Refer to the Nordic nRF5x Segger J-Link page to learn about debugging Nordic boards with a Segger IC. You can build and flash the examples to make sure Zephyr is running correctly on your board. 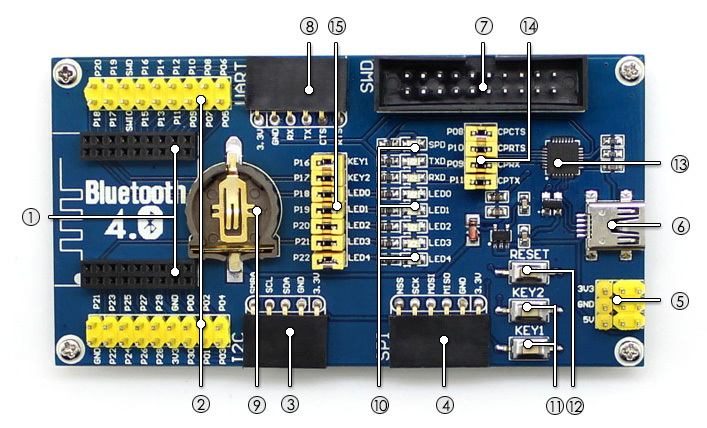 The button and LED definitions can be found in boards/arm/nrf51_ble400/board.h.